Do you have an 8mm Mauser rifle and you either can’t find brass at your favorite store (US Reloading Supply of course) or don’t want to pay for expensive newly made ammunition nor want to use the old surplus that might be way “hotter” than your rifle can handle (IE: Turkish Surplus)? Well, today we are going to let you in on a trick that can save you time, money and general irritation or impatience. 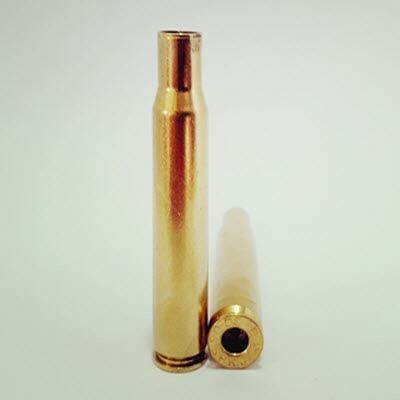 You can buy some once-fired or new 30-06 brass and convert it to use in an 8mm Mauser. As you may or may not know, the US M1903 rifle was somewhat similar to the patented Mauser design (some of the action, etc) and it is rumored that the US paid some royalties to Mauser at some point because of similarities in rifle design. Well, the M1903 fires the abundant 30-06 cartridge which is indeed somewhat close to the 8x57 Mauser cartridge. By all means, please do NOT even entertain the idea of trying to mix and match fully loaded cartridges (I know you wouldn’t but I just have to put that out there) but you can trim some empty 30-06 brass to use to reload for your Mauser. The Mauser has to be chambered in 8x57mm and not 7mm or any other variation therein. Take the clean and de-primed 30-06 brass and measure from the bottom of the case with your calipers and measure 2.23” and make a line there (you will be making the line closer to the mouth of the case as that is where we are going to cut). You might notice, know that the case for an 8mm Mauser is 2.24” but we are going to cut it just a tiny bit shorter as we are going to full-length size it and that should get us at or closer to 2.24”. After you measure, mark and secure it, you need to cut around the black mark you made with either a Dremel (or similar tool) or a pipe cutter. I’ve found a pipe cutter can be a pretty quick way to make easy work of converting 223 brass to 300 Blackout or 30-06 brass to 8x57 Mauser. 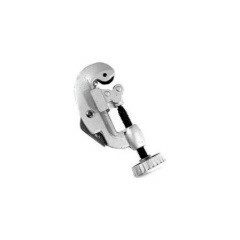 If using a pipe cutter such as the one pictured above, you will need to place it with the cutting wheel on the line you made and then tighten the tension so it is just enough pressure to start to make a groove when you turn the case in it. After turning the case a couple times, you will need to tighten the tension in small increments until you feel or see the piece you are cutting “pop” or fall off. This sounds like a lot more work than it really is and I’ve found repeating the results a lot easier than with a Dremel. Take your chamfer/deburring tool and remove any burrs and you might have to shave out some material from the inside to make sure the brass is not too thick for the new case mouth. Also, take care to not remove too much (as we don’t want it to be too think either). Lube the case with your favorite “flavor” and make sure you get some inside and outside of the case, taking care to avoid too much near where the new shoulder will be located. We want to avoid any “lube dents”. One or two, depending on your school of thought, should fire-form out if they are not too deep but you’ve got to go with what you are comfortable with as you are responsible for your reloads, etc. I’ve used Lee case lube with success and some other various types. I’ve read Imperial wax is good but requires cleaning your dies more often but I cannot confirm that; just what I have read. 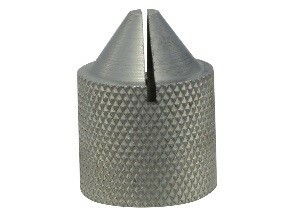 Insert your 8mm Mauser full-length sizing/de-priming die correctly in your reloading press. Next, install the appropriate shell holder and place the cut and lubed brass, centered, in the shell holder. Now, you need to just “bring it home” by inserting the brass into the die by pulling on your press lever. You want to be firm but not overly rough and consistent. 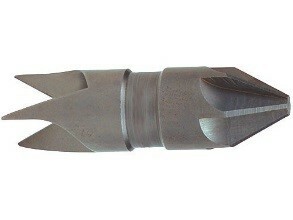 When you bring it back out, you should have a cutdown 30-06 shell that now has a case mouth size that will accept a projectile that measures approximately 0.323” or 0.324”. Please take care and make sure you see no splits on the case mouth, wrinkles, tears or anything that makes you uncertain the brass is less than ideal to use. Make sure you re-measure the newly formed brass with your calipers. If this measures over 2.24” and you are going to use max loads, you should trim it as you normally would and then remove burrs, etc. If I have to trim anything significant off after the last step, I will run it through the sizing die again but this is not usually required. Something additional that I do is to make a mark on the case so I will remember this is converted brass. Since I don’t have a 30-06 caliber rifle, I don’t worry about accidentally chambering this in the incorrect rifle but make sure you keep these separate if you do have both calibers. The 8mm Mauser is a fun caliber and you can still sometimes find some non-K98’s for really decent prices so it’s nice to be able to convert some brass you have on hand and get to the range more quickly and inexpensively than buying expensive, newly made factory ammo that may or may not be Berdan primed.